Whilst some organisations are adapting well to digitalisation, others are struggling to manage the changes that the increase in technology brings – facing digital chaos, loss of control and a disengaged workforce. OE Cam has collaborated with our European partners to conduct research into the different organisational approaches to digitalisation. 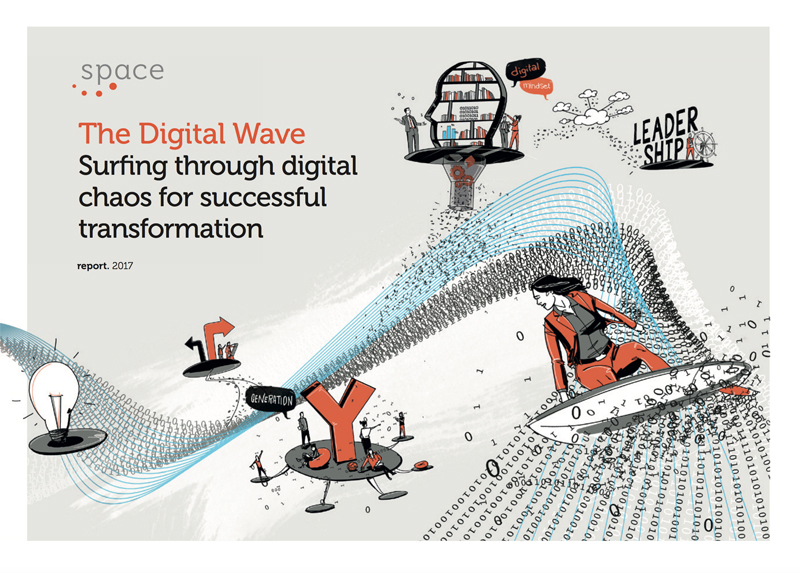 We investigated the change in leadership and capabilities required to work in an increasingly digital workplace, and established which factors are key to success. What major dilemmas will organisations face when it comes to leadership, people management and mindset? What do leaders need to understand regarding digitalisation, and what are the human implications for them and their teams? Will middle management succeed in redefining its role where direct access and loss of boundaries are game changers? What impact does all this have on traditional decision-making processes? How can today’s leaders effectively challenge tradition, history and organisational culture in their quest to become more digital? Digitalisation is not a one-off project, but an ongoing transformation that will take time to flourish. This year’s report provides invaluable insights on how to successfully navigate your organisation through its digitalisation journey. We hope you find the report useful. Should you have any questions, please do not hesitate to contact chris.legge@oecam.com or toni.marshall@oecam.com or call our Cambridge office on +44 (0)1223 269009. For best results, please open using Adobe Acrobat and enable Flash. For more information on Adobe Acrobat & Flash Player, click here.